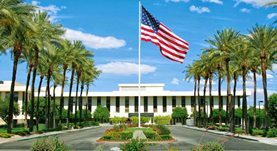 Dr. Eric Presser is a recognized thoracic and cardiac surgeon in Palm Springs, California. He received his medical diploma from Ross University School of Medicine, Roseau, Dominica in 1999. Dr. Presser completed his medical education with a residency in general surgery at New York Medical College, a fellowship in thoracic surgery at Louisiana State University and a fellowship at the University of Texas Health Sciences. He is certified by the American Board of thoracic and cardiac surgery. His subspecialties are general cardiac surgery, adult general thoracic surgery, minimally invasive thoracic surgery and thoracic surgical oncology. 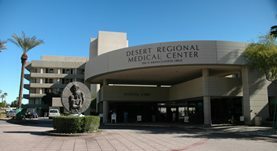 Doctor Presser works in several hospitals in the area, including Desert Regional Medical Center and Eisenhower Medical Center.